The hills get their name from the delicately colored stratifications in the soil and the yellows, golds, blacks and reds of the Painted Hills are best seen in the late afternoon. Tones and hue may appear to change from one visit to another, as the claystones differ with ever-changing light and moisture levels. 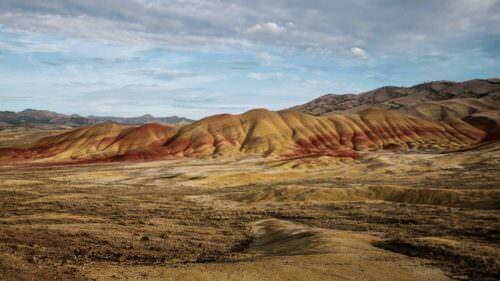 Once you see them for yourself, it’s pretty easy to understand why the Painted Hills are one of the 7 Wonders of Oregon. 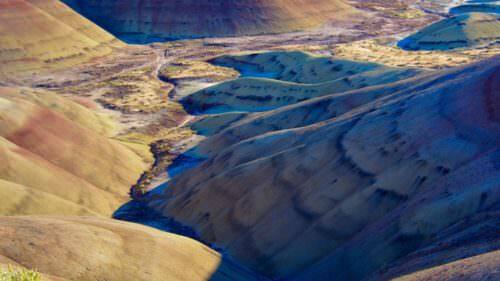 The Painted Hills are one of the three units that comprise the John Day Fossil Beds. 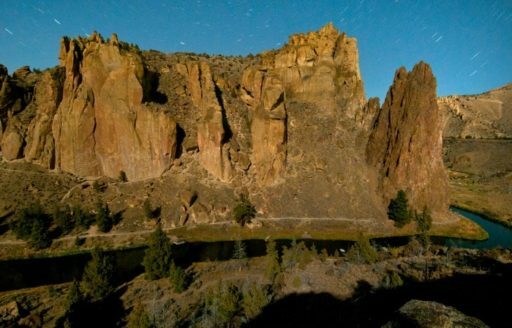 Take time to also visit the Clarno Unit, with Mars-like pillars formed by waterfalls and volcanic sludge, and the Sheep Rock Unit, where fossils of plants and animals like saber-toothed cats are on display at the Thomas Condon Paleontology Center. 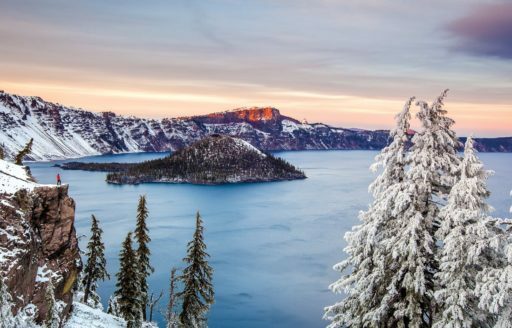 Scientists study 50 million years of plant and animal evolution and a collection of 40,000 fossils here, and you can learn how early cousins of elephants and rhinos roamed the earth you’re standing on. 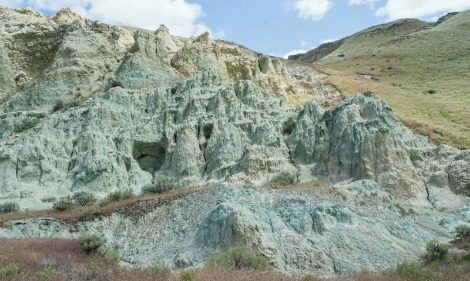 To get there, take the Journey Through Time Scenic Byway through the ghost town of Shaniko, then on to the town of Fossil (named after the mammoth bone found there), where you can dig for your own fossilized souvenir. Plan to stop at the Kam Wah Chung and Co. Museum, a perfectly preserved drugstore from a century ago. 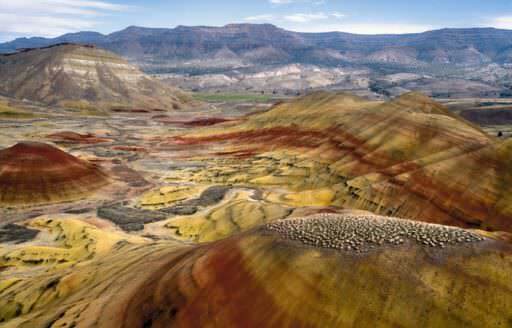 Is September a good time to visit the Painted Hills?